Holy Cow! I’m on the list! Never, in my wildest imagination, did I expect to find myslelf featured on the same list as a Tweeting, Google+ing astronaut! 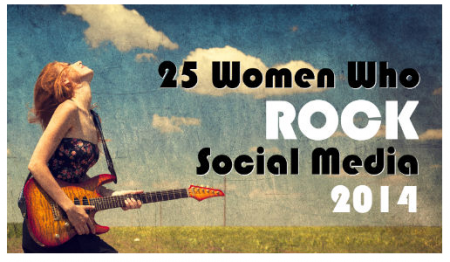 I am thrilled to be included in the stellar company of these accomplished women. Thank you Lee Odden for including me and Toby Bloomberg for the nomination!